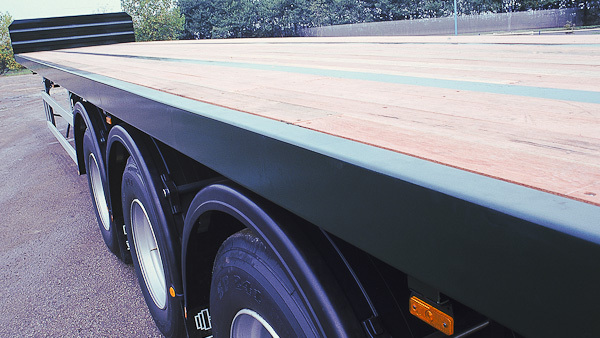 We stock 13.6m Tri Axle platform / flat trailers from Montracon, Dennison, SDC, Weighlifter and Corus. The trailers are available with twistlocks, posts and sockets, both, or neither. 44 tonne specification. No special types. 1.5m (5′ feet) deck height. 385 65 R 22.5 tyres in single formation. Timber carriers available with tall posts. Headboards are usually 1m high, though some stand at 1.5m high. Some of these trailers have removable headboards.